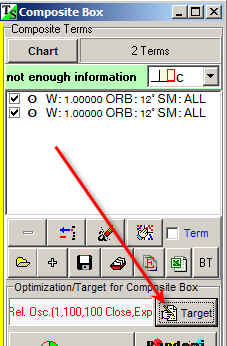 Timing Solution allows to forecast different indicators. It means that though you download the price history, you can make a forecast not for the price only. Option traders are more interested in forecasting volatility, and you can make a forecast for volatility or for true rang (the difference between high and low). Some users are more interested in forecasting ADX index (average directional movement) to figure out the trend's continuation perspective. It is possible to do all these things with Timing Solution. You can do it through "Target". I recommend you to research options available in "Target" menu. These are different things that the program will forecast. 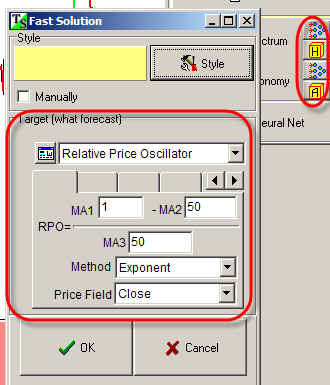 By default the program forecasts the relative price oscillator with parameters shown above. 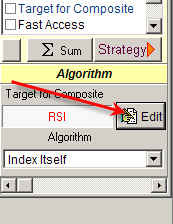 The relative price oscillator is designed to eliminate a trend in analyzed data (more about relative price oscillators see here: http://www.timingsolution.com/TS/FAQ/rpo.doc ). We calculate true range as a percentage. Now I will show how this feature works in different modules. 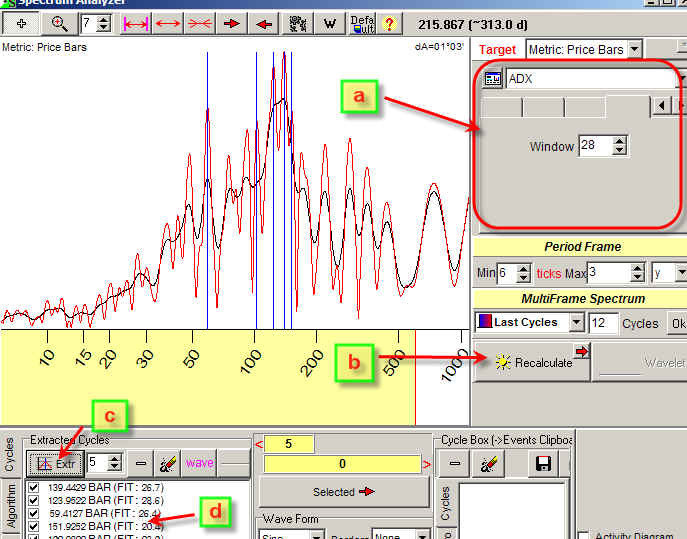 d) drag these cycles into Main Screen to get the projection line based on these cycles. Be cautious with this weekly cycle. In most cases this is just the artifact caused by non trade weekends (for daily data). I recommend to set the target clicking both buttons "Past" and "Future". 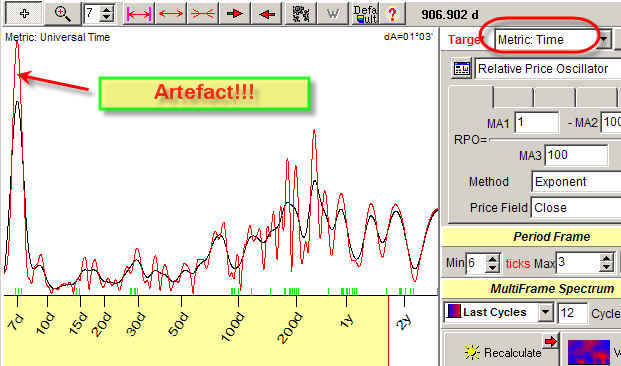 This feature allows to extract dominant cycles for one indicator ("Past" button) and generate a projection line using another indicator ("Future"). 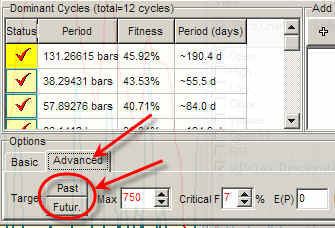 For beginners, I recommend to set the same indicators for "Past" and "Future". In Neural Network technology it is called output. 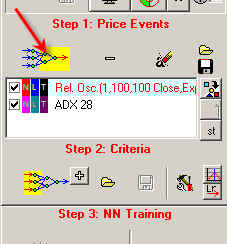 Pay attention that in Neural Net models you can define several indicators to be forecasted at the same time (as on the picture above).